Da Capo Sammelan is Goa’s annual Western music festival, incorporating an international concert with Indian soprano Patricia Rozario and guests, and a showcase event for talented Indian students. The Festival, now in its third year, seeks firstly to provide a high level concert experience for Goa’s enthusiastic classical music audience. For the two previous editions of the Festival the Sammelan has brought in international soloists to join Patricia Rozario in recital. With this firmly established, Da Capo Sammelan now seeks to establish the more important aspect of a music festival, as a collaborative event for Indian musicians. This year the first concert will be a platform for gifted Indian students between the ages of 10 and 15 years to display their talents. This will, we hope, become a fixture for the festival and provide a much needed showcase for Goan and Indian students and musicians in the Western classical field. For the 2018 edition of Da Capo Sammelan, the international concert features Patricia, her pianist husband Mark Troop and Mumbai-based Japanese violinist Mika Nishimura in an entertaining concert of Western classics for voice, violin and piano, and an Indian song cycle by Vanraj Bhatia. The Indian concert showcases talented Goan students performing on piano and violin, and singers from Giving Voice Society providing ‘Love and Laughter’ – a selection of romantic arias, and humorous songs by Flanders and Swann. 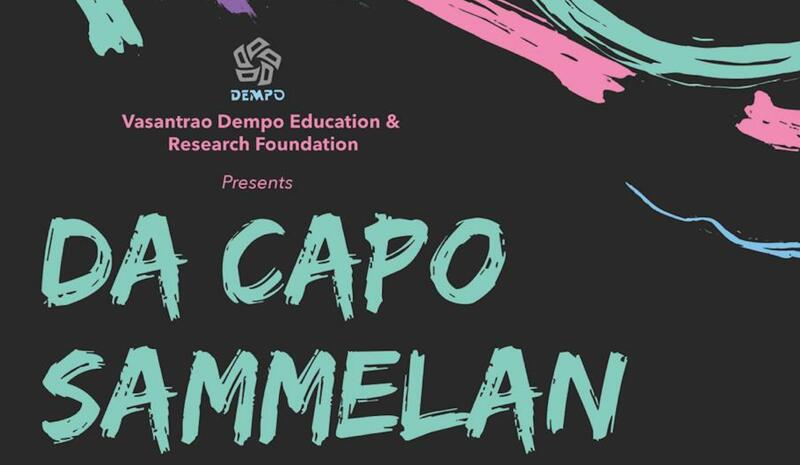 Da Capo Sammelan is a collaboration between Dempo Industries and Patricia Rozario and Mark Troop of Giving Voice Society. This is its third edition, taking place this year at Kala Academy, Panjim.